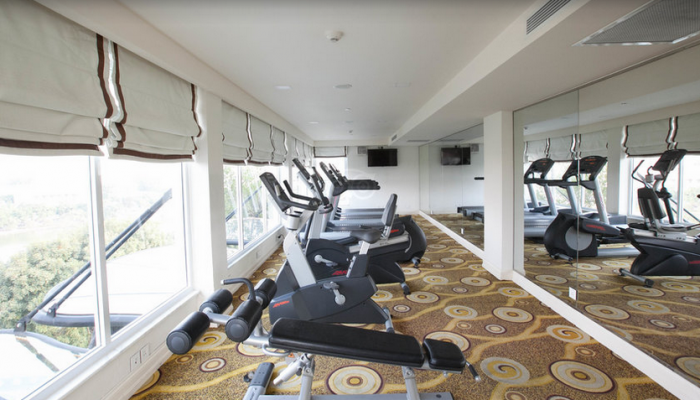 Come and get toned at our Fitness centre equipped with a selection of cutting edge work-out equipment as well as sauna and steam facilities. After your work-out, take a swim in our outdoor pool and enjoy a refreshing poolside drink for revitalization. 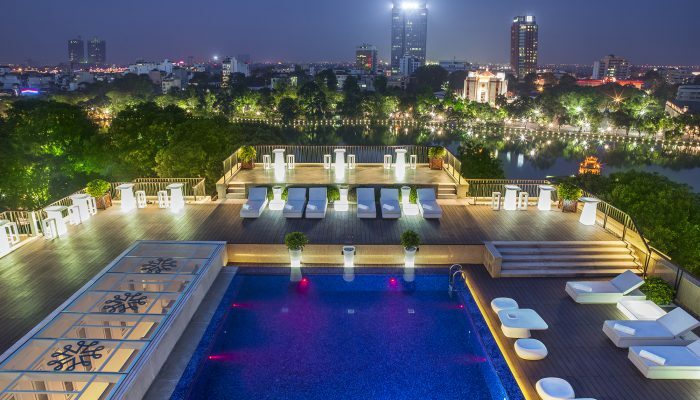 High on the 10th floor of Apricot Hotel, beyond the green leaves and bustling life of Hoan Kiem Lake, is the only rooftop pool in the heart of Hanoi. Offering one of the most stunning panoramic view of the famous and romantic lake, our rooftop swimming pool is an oasis of peace and luxury. Cool off in the water, bath in the sunshine or relax in on one of the comfy lounges by the pool, you may also enjoy a refreshing poolside drink for revitalization.